Have you ever had a class that just tried your patience day after day? Have you ever felt like you could walk away from teaching forever tomorrow, and be fine with it? This is a repost of a piece that I wrote several years ago when I was teaching Kindergarten. I'm now in second grade, and finding that I have many of the same problems! Since I actually went back and read my own post again, I thought I would post it here for you again, too, with a few of my updated comments inserted in italics. Hope it's helpful! This is the original post. This year, I have one of the most challenging classes I have ever had. I am still working on training them to do what I want them to do, but I know that in the end, I will win! Meanwhile, we are spending a LOT of time on classroom management, modeling routines and procedures often. Here is a list of some classroom management tips and techniques that I have used successfully in Kindergarten, but I think that they would probably work in most any elementary grade classroom. I hope that some of them will work for you, too! In this day and age, talking to parents about their child's misbehavior and expecting them to back you up can often backfire. All too often, parents see their role as the person that is there to defend their child, rather than to discipline their child and help the teacher. Therefore, I have changed my approach when I call parents of misbehaving children, especially the FIRST time I call. I ask them if they can help me by giving me advice on the best way to get their child to cooperate with my instructions. This is the basic technique. 3. Can the parent give me any tips for getting the child to ______? 4. Then I thank the parent profusely for their help, and let them know that if they can think of anything else that will help to let me know. 5. I encourage them to also speak to their child and encourage good behavior at school. 6. I ask him or her if they have any concerns or questions, and if they would like a follow up phone call, note, or email to let them know how the child is doing. 7. Get a notebook or clipboard and write it down whenever you make a phone call or leave a message. Keep a log of parent contacts, if at all possible. If you leave it by the phone, it won't be too much of a burden. My phone log has absolutely SAVED me now and then! Start with the parents of the ringleaders, if you can identify them. When kids are naughty, I start talking to parents after the first week or two of the school year. I prefer to wait until two weeks have passed if I can, but sometimes I can't wait. As soon as I have to put someone in time out or discipline a child in any way, I grab my notepad and write it down so that I don't forget what child did. I do tell the child that I will have to speak to his parents later, if I intend to do so. This technique can stop a very insistent rule-breaking or defiant child in his or her tracks; but be sure that it does not turn into a "public shaming" type of thing. The phone call should be done in a corner of the room while the rest of the class is busy with something else. Talking to a parent about their misbehavior often leaves a Kindergartner in tears. I don't enjoy watching a child cry, but when a child is defiant and rude, and I KNOW that the parent will back me up, this works immediately. In my experience, it works better than calling the office and asking them to come pick up the child for a talk with the principal. This is what I do: I just stop what I'm doing and take the child to the phone. Then I have them listen while I call their parents and tell them what their child was doing. Then I put the child on the phone and have that child explain. This is usually VERY effective, but you need to have a pretty good working relationship with the parent. If you think you might need to do this, you might want to let the parent know that if the need arises, you will be calling them during the day for help, and get permission to do this if necessary. And I would like to reiterate that the phone call should be done in as private a place as is possible. If you need the parents help right away but never asked them for prior permission, you can try calling and ask for advice on how to handle the child. Usually, in my experience, the parent will ask to speak to the child, and that is the end of that! Something else I have done in the past is have the kids work in teams to get the most chips for good behavior. They each have a bowl and I add chips when kids in their row are listening, etc. I like to count them and weigh them in front of the kids with a balance scale, too! The kids like that. We used to put one chip in front of the child while they were working at the table. If the child got out of control at a center, I quietly came up and simply removed the chip, usually without saying a single word! If the child asks my why he lost the chip, I tell him that we are working now, and I will explain it later. I sometimes ask the child to think about it and see if he or she can figure it out. Usually, they do already KNOW. 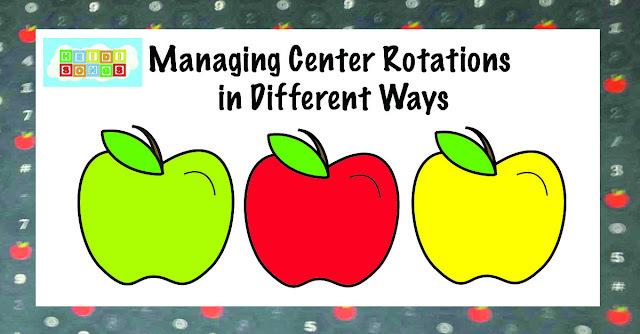 Then at the end of that rotation, whoever still has a chip gets to put it in their group's bowl. As they put each chip in, I quickly praise each child for a great job. Here’s another one. Get out a video camera and put it on a tripod or a countertop. It doesn’t even have to be ON, as long as they think it is on. (Of course, sometimes in my classroom the video camera IS on, ha ha!) Let them know that their parents will get to see it if necessary. Now that’s pretty tricky, and I wouldn’t do it unless I absolutely had to. I do, however, get a permission to photograph paper signed and take pictures of the inappropriate behavior, just to show the parents and principal. It can be destroyed after that. Please note that any photography of a child can only be done with parental consent or it is a violation of COPPA. Sometimes, it is the only way to make a point. However, even just asking the child if their mom or dad would like what they saw on that video tape is enough to make the behavior stop. Just remember that if you are bluffing on taping the child, he'll figure it out before too long. 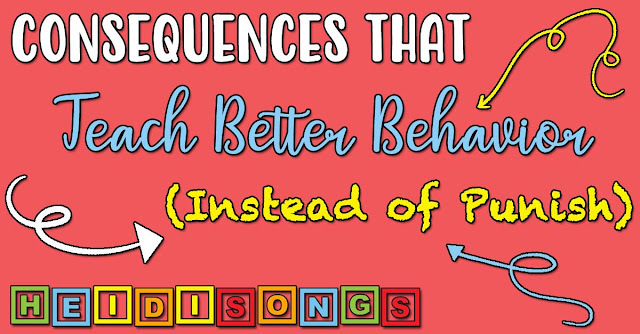 I always try to keep things positive whenever I possibly can, and having kids learn rules and routines with songs and motions is one of the best ways I know how. Here are some clips from my Classroom Management DVD. It also comes on CD. This song about tattling is a sure fire winner! It is TOTALLY effective in my classroom! The kids really get the point: nobody likes a tattletale! Now my class this year is very difficult! But they are improving in baby steps. Every time someone blurts out something without raising a hand, I stop, and back up. I say, "Okay, we're going to try that again. I'm going to read that page again, and let's see if you can all be quiet. Don't say a word! Here we go, let's try it." Then I say it or read it again, etc., and see if they do better. The kids get so tired of my repeating that routine, that they pretty much give up on it after a while and will ask the naughty ones to quit. The teacher can WIN just by persistence. This also means that I get to say "Good job!" rather than "Go to time out" more often. For the kid that keeps blurting after that, THEN I send him or her to time out. It helps us from spiraling down to the negative so much. Keeping things positive can be pretty hard with a very difficult class, but this is one way to get there. 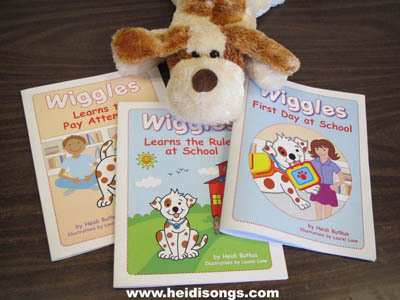 We read one of these Wiggles books nearly every day as a way of teaching and reviewing the procedures and rules. Give them STRUCTURE- and LOTS OF IT! Children that come from homes where there is not a lot of discipline seem to need a lot of STRUCTURE and BOUNDARIES. They cannot be left on the floor to play with unifix cubes in a group of five. They will go nuts! They do better in chairs. Whenever I give them boundaries, they do better. So try to figure out how your class functions the most successfully and go from there. Whatever works- do more of that. For example, I have a carpet with colored sections for each child to sit in. We have a seating chart. I may move children a couple of times a week if needed. Some groups need to sit in certain spots at the tables at group time. Certain kids can never sit together. I cannot give them a single inch, or they will take a mile. Hopefully, we will get them all trained and they will be perfect little angels by Thanksgiving, and then I will be able to relax with them a little bit. They do have their wonderfully sweet moments! 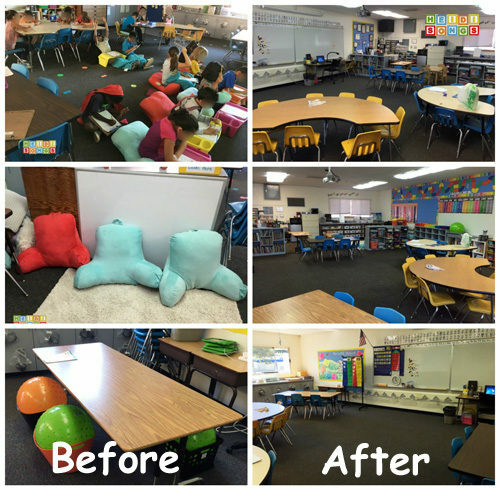 - Each child can be given a certain spot to sit in on the rug- even without a colored carpet with squares! 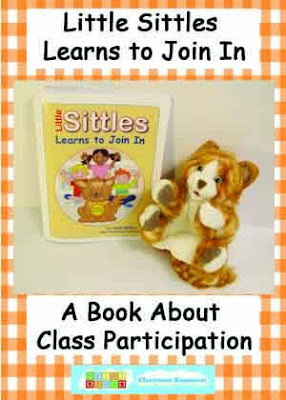 - Have children enter the classroom and take a seat just five or six at a time, praising them as they walk in nicely. - Have children move from one center to another just one group at a time as you all watch, and cheer for them as they follow instructions. - Let children play with a certain manipulative within the boundaries of a rug or even a jump rope spread out in a circle. The toys and the kids playing with them must stay in the circle. 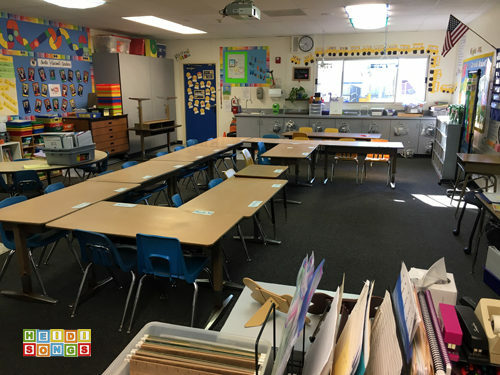 - Assign seats at the tables where you teach small groups so that children don't have to run to sit next to their friends, etc. You can always reward good behavior with letting them sit anywhere on a certain day. - If there is a certain toy that everyone wants to play with, make a check-off sheet and rotate kids through so that there is no fighting over it. If you know that only four kids can play with it at a time without a problem, then only allow four. I worked with a teacher that made "toy passes" for certain toys and passed them out at the beginning of playtime. If a child left the toy, they had to give it back to her and she would decide whose turn it was next. 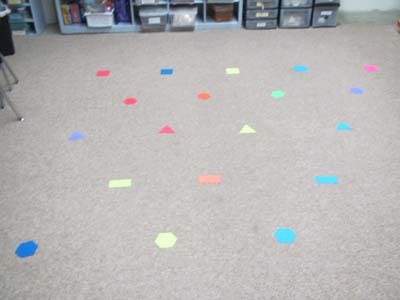 - If kids cannot line up without pushing and shoving, try taping down names on the floor (or even sight words) and assign kids spots to line up on. Those that tend to push, etc., cannot stand near each other. SitSpots also make great line up spots, and can help space kids out. - Make special arrangements for any child that cannot transition without pushing, fighting, etc., to simply not line up (or whatever) with the others EVER. I did this with one little boy who had decided that he just HAD to be first in line everyday, and would fight his way up to get there. So I told him that he never was to get in line. I made a chalk circle about five feet away from the line, and told him that was his spot. 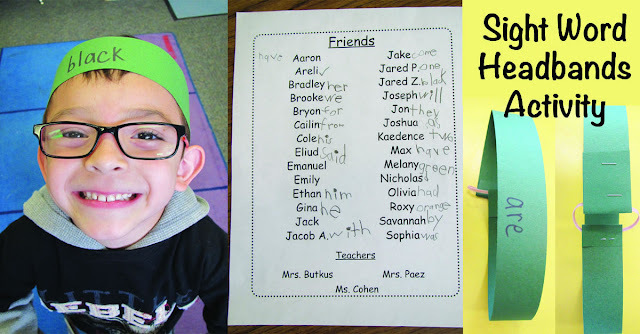 He HATED this- but later he earned the right to rejoin the class. These techniques are TIGHT controls on the class's every move. BUT... once you get them under control, you can start to gradually release them, one behavior at a time and then teach them methodically how you want them to behave, with more freedom. And if they can't handle it? You can always go right back to the way it was before and try again in a month. One thing to remember is that all of these little classroom management "fixes" do take extra TIME out of your day. That's just the way it is. There's nothing that you can do about that. So it's likely that with a class like that, you won't get to cover as much as you do with the kind of nice, cooperative class that we all would like to have! So remember that, gather up all of the patience you can muster, and take a deep breathe. Let it out slowwwly and then just let it go. And remember this: once you master teaching a class like this, you will have learned that you can do and teach just about ANYTHING, if you try! When you're done, you'll have so many tricks up your sleeve, you'll be the expert that everyone goes to for advice. So cheer up! It's not all bad! 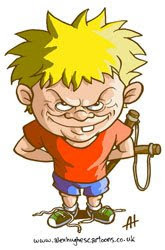 It is true that children often have a reason for their misbehavior. I am no child psychologist, that's for sure! But I have read a lot of great books on the subject, (here's my favorite by Ronald Mah) and I know that many of the behaviors that appear to be designed to make a teacher's life miserable are actually a cry for help from the child. 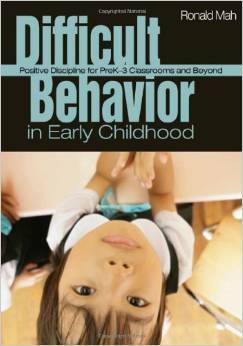 This is my favorite book on behavior management, by Ronald Mah. ALL of his books are EXCELLENT. I especially like listening to him speak in person at conferences! 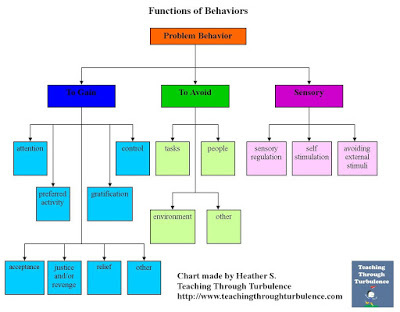 This chart is from the blog Teaching Through Turbulence, and is an excellent example of how you can look for the function or cause of the behavior and try to fix the problem THAT way. It's perfect, if you can manage it! I hope you found these tips and tricks useful and helpful to getting control of your class if you have similar problems! Good luck!